Upright vacuum cleaner with bagless technology and DuoClean technology. Includes duster crevice tool, dusting brush, and upholstery tool. Rank: #5 out of 578. Shark Rocket DuoClean is a very popular option in the middle of the vacuum cleaners price range. It's in the top 3 bestselling vacuum cleaners and has dozens of popular alternatives in the same price range, such as Hoover Windtunnel 3 Pro Pet or Prolux iForce . 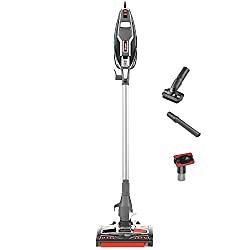 Shark Rocket DuoClean is $5.90 more expensive than the average vacuum cleaner ($149.90).